It's not a great time for the internet in the US. The Federal Communications Commission recently ruled to roll back net neutrality laws which have been in place since 2015, opening the door to discriminatory behaviour from internet service providers. At best, a lawsuit could overturn the decision; at worst, we'll see ISPs introduce dubious practices over time which could include slowing and speeding traffic to selected websites and services, and even blocking some. It will no longer be a level playing field. And virtual reality could find itself in the crossfire; to some extent it already has. In a speech ahead of the vote, FCC chairman Ajit Pai (the much maligned leader in charge of this net neutrality cull) cited the future of VR as one reason for repealing net neutrality. "With the dawn of the Internet of Things, with the development of high bit-rate applications like virtual reality, with new activities like high-volume bitcoin mining that we can't yet fully grasp, we are imposing ever more demands on the network," he said, later asking: "what if virtual reality with dual 8K displays actually becomes something meaningful?" So what does he mean? 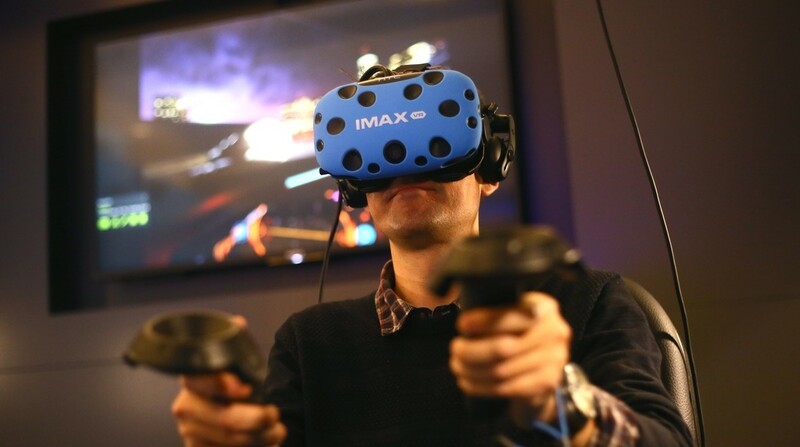 Right now, most people will download a VR game from an online store, after which point the resolution of the display has no bearing on internet bandwidth, even if if that's an 8K display (right now the highest-resolution display headset is Pimax's, which is 4K per eye). But that's today. Already, streaming YouTube 360-degree video content requires a persistent connection. More importantly, the future of VR is one of worlds that will need unrestricted connectivity if they are flourish, especially as this technology is so young, and this will mean not only larger bandwidth demands but equal access. Pai's comments, suggesting we're about to start surfing the web Johnny Mnemonic-style, proposed future virtual reality streaming to be a reason why net neutrality must be removed. But to many, such an act could actually harm the development and proliferation of VR. For the sake of VR's future at least, we can hope that either a challenge is successful, or that it takes long enough for ISPs to start testing their new powers that VR innovation isn't stymied before it's really begun. Pai's stance is also at odds with ex-Federal Communications Commission chairman Tom Wheeler, who last year said net neutrality laws should extend to virtual reality. "Virtual reality shouldn't have gatekeepers," he said at the time. "It starts with an internet that is fast, fair, and open". Repealing net neutrality laws probably won't have an immediate impact, but over time it has the possibility to become the opposite of what Wheeler called for – less fair and open – with the smaller players missing out because they can't afford to stay on an even level with the established giants. We keep talking about how the future of VR is social, but multiplayer VR could be at a particularly high risk in a market where users are currently few and making good money is hard for developers. That could become even harder in a world where a companies like Facebook can afford to pay to have preferential access to its Oculus service. "With a nascent market like VR, you need as many creative developers and innovators knowing that they can take a risk and possibly succeed," Anshel Sag, VR analyst at Moor Insights & Strategy, told Wareable. "But without net neutrality, there's a high probability their ideas may never see the light of day." The same threat dangles over other parts of the internet and services of course, but VR is young and particularly vulnerable. Despite the hype and a promising future, there's no guarantee it will become a mainstream success. Social is the prophesied "killer app" that VR needs to go mainstream, but persistent online worlds, which will be more demanding on bandwidth, could suffer in a world without net neutrality. And in fact, slow speeds could make the whole experience a nauseating mess. "The future of VR is tied to increasing internet speeds across the spectrum," said Hamza Siddigui, creator of Casino VR, in a piece titled 'Why is no one talking about net neutrality in the VR industry?'. "Every missed word, every weird avatar movement, every lag is immersion breaking. In some cases, it can even be nausea inducing." Last year, ARRIS CTO Charles Cheevers estimated that a VR game in 720p will need 50 Mbps of bandwidth to stream, and a 4K VR game would require 500 Mbps. Akamai's 2017 report on the state of the internet found that the average connection speed in the US in Q1 of this year was 18.7 Mbps, but nine states were below 15 Mbps (Idaho was the lowest at 12 Mbps). All states saw speeds rise in the first quarter, but they're still behind where they theoretically need to be for VR streaming, and there's every potential for ISPs to throttle these high-traffic VR highways. There are possible ways that we could offset the high bandwidth demands VR will have. Thomas More Storke Professor of Communication, Jeremy Bailenson, proposed a different type of delivery system where the user downloads the visuals of a video but has their tracking information streamed. Foveated rendering, which reduces image quality in the peripheral vision, could also lessen bandwidth demands for VR streaming. But there's a very real potential for ISPs to behave in a way that could hurt VR startups and smaller players. "We would not have the internet we have today were it not for equal access," Second Life creator Philip Rosedale told Wareable. Rosedale has since built another company called High Fidelity, which is building a new social VR platform that lets individuals create their own servers. "If there are site-specific bandwidth provisions on a service like Comcast or something, then it's not going to work because you're going to put up your server and you're not going to get access to it." In a piece titled Protect Our Right To Internet Access, Rosedale also wrote: "High Fidelity will provide a better way for kids and adults to learn and experience together – for example, by putting on VR headsets and being teleported to a faraway teacher or field trip… but this won't happen if every teacher who wants to put up a VR server has to negotiate with the carriers for access to her students." Net neutrality isn't going to go away without a fight. Although the repeal vote was passed, we can expect to see legal challenges, though none are guaranteed to succeed. For the sake of VR's future at least, we can hope that either a challenge is successful, or that it takes long enough for ISPs to start testing their new powers that VR innovation isn't stymied before it's really begun.